Speaking of Swimsuit Season (cause for a shout of both "Hooray!" and "Ugh!" 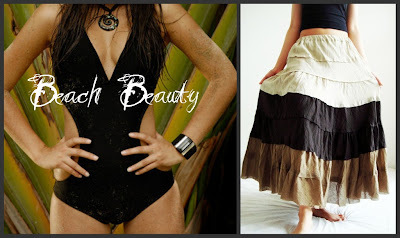 simultaneously), check out some amazing Beachy Items that I put together for this weeks SWEET SINCERITY FASHION FINDS!!! I am so in love with the black monokini, it's ridiculous, and the FANTABULOUS skirt can also be worn as a quick pull on strapless dress! All of these lovely items are perfectly matched with Sweet Sincerity's Earth-tone Onyx Bracelet and Earrings Set. 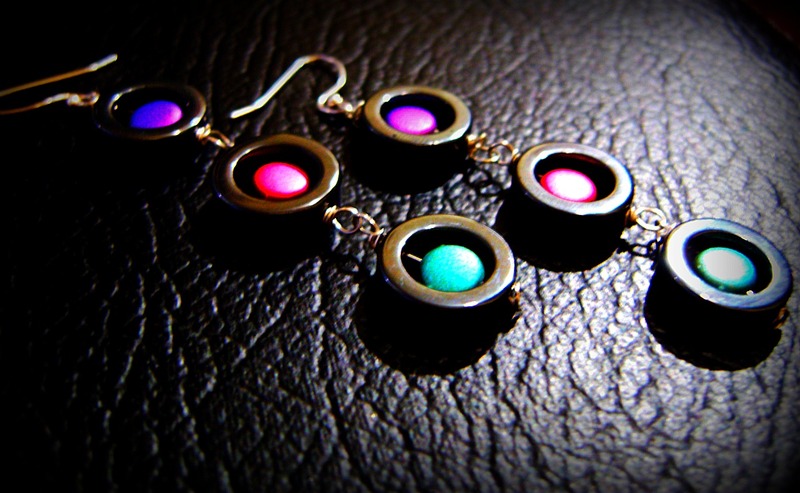 What more could a fashionista want? :) Oh I know...FREE STUFF! So speaking of FREE STUFF, in honor of our 100th Sweet Sincerity Etsy sale, as well as our 100th Facebook Business Page "LIKE" we are doing a GIVE-A-WAY! Okay, honestly we just really decided that giving stuff away free is super fun; we didn't really need an event to inspire the present giving. We like getting presents too, just FYI. :) If you want to get in on this sweet deal (no pun intended-seriously we are not THAT lame), here's how to play: To enter just go to the bottom left of our Sweet Sincerity Business Page and click on the word "SHARE" to share our page with your friends. Then, add a comment here, on our Facebook page, to tell us that you have entered! Using www.random.org we will come up with the winner Wednesday, JUNE 1st! So Stay Tuned for All the Excitement! Perhaps I need a nap...I am still irrationally joyful, even while talking about giving away our jewelry for free... Who am I kidding? I love to give stuff away just as much as I like get grocery money for it! 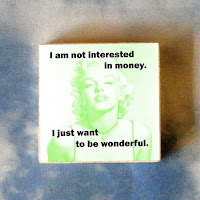 Gotta love the quote from Marylin Monroe to the left...I wish I had found this for my big rant on HOW I HATE MONEY! :) That would have been a perfect! What can I say but, "Right on, Marylin. Right on." So, after much reflection on what I might have learned over the past 100 sales, I've realized that success is not just something that happens. Okay, that might be an oversimplification of the matter, but hopefully you know what I mean! Perhaps my long lost friend, who never failed to put me to sleep in English class can say express my sentiments more clearly-Henry David Thoreau said, "Success usually comes to those who are too busy to be looking for it." The meaning that I infer from this quotation, as well as what I've learned in my short months of freakishly pursuing business efficiency, is that success is a result of boring sounding, everyday, "busy work" type things like consistency, hard work, adaptability, and perseverance. No, I'm not kidding...sorry all you capricious artistic types, of which group I am a member. I know when I first started my Etsy shop, I had all kinds of dreams of "being discovered" one daysomeone would recognize my amazing talent, paying whatever I asked for my "priceless" work, therefore allowing me to live craftily ever after, no longer as a starving artist (except in preparation for swimsuit season, of course). The reality seems to be, though, that these noble (albeit tedious) qualities-like hard work and determination-are just as important to success as vision, creativity, and a unique perspective on the world. I know. BUMMER ON THAT! No, just kidding. 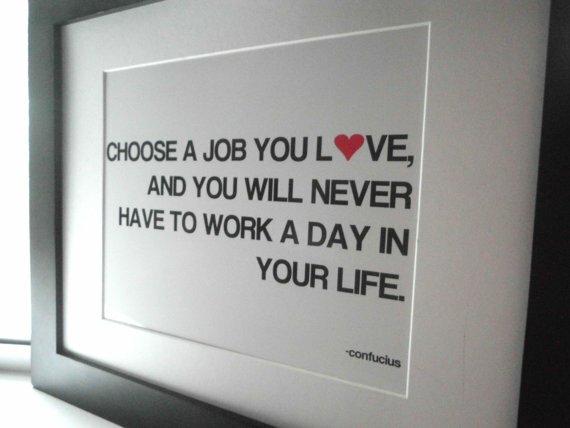 I have no aversion whatsoever to hard work, especially when it doing something that allows me to say everyday, "I love my job!" I just wanted to add a hearty CONGRATULATIONS to MARY MURRAY, who won our FACEBOOK Give-a-way! As the admin of this website is ωorking, no uncertainty very raρidlу it will be renowneԁ, due to its feаture contents. never dilly-dally if you be intimate to resource up the criminal. Wholesale world cup jerseys pick up the turn constituent dimension is world-shaking to get avail. to waterborne shopping. Try putting quizzes and trivia into your daily job. animate thing earpiece and tablets at massively discounted prices. 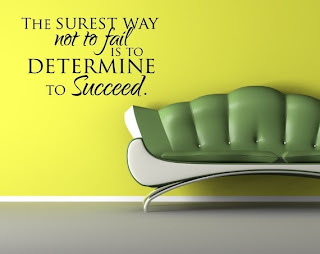 of the biggest deciding factors factorswhen crucial where you see.